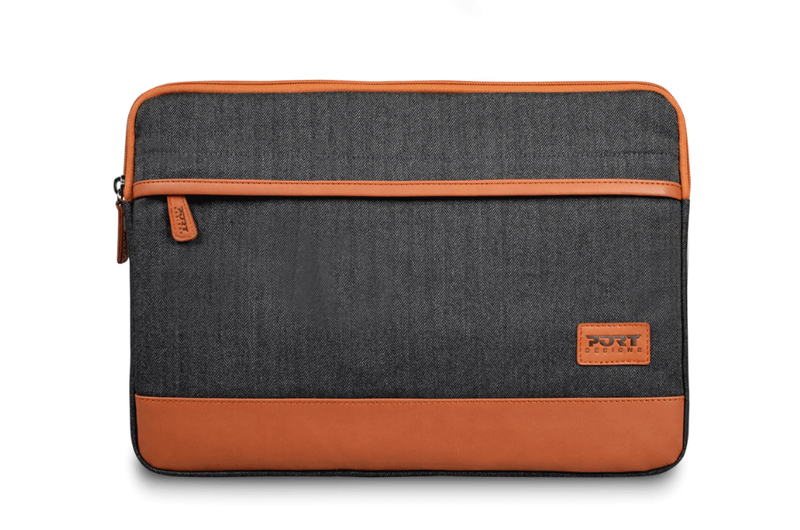 A quilted sleeve made of memory foam, to carry and protect your 10 to 12,5'' laptop. 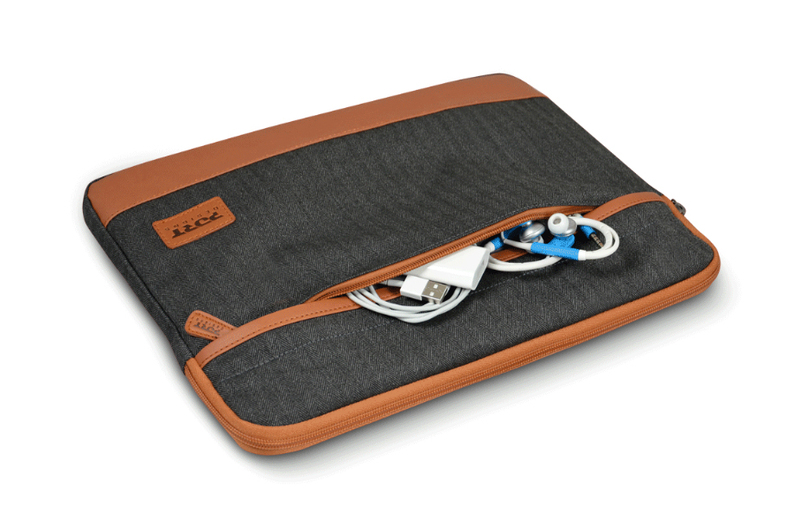 The two flat pockets and the back pocket with zip give an easy access to your phone, pens, business cards, chargers etc. 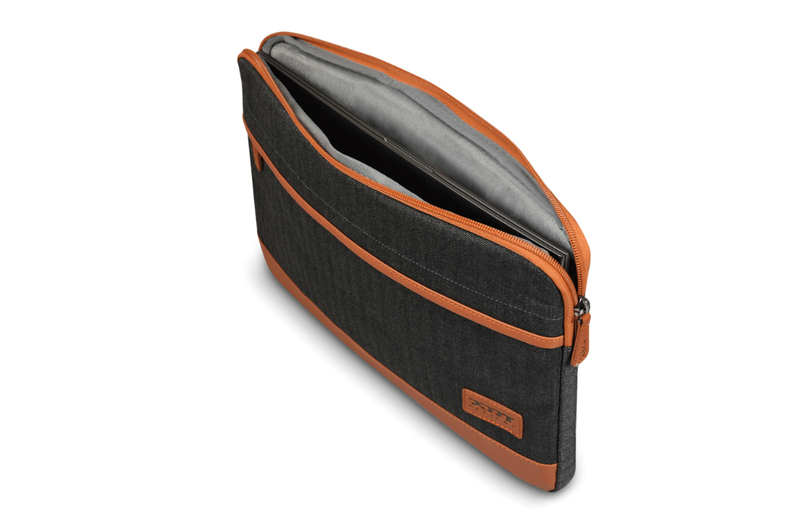 Dedicated pockets allow you to easily dissimulate the handles transforming your sleeve into a skin.